Image: Steve Parsons - Pool/Getty Images. 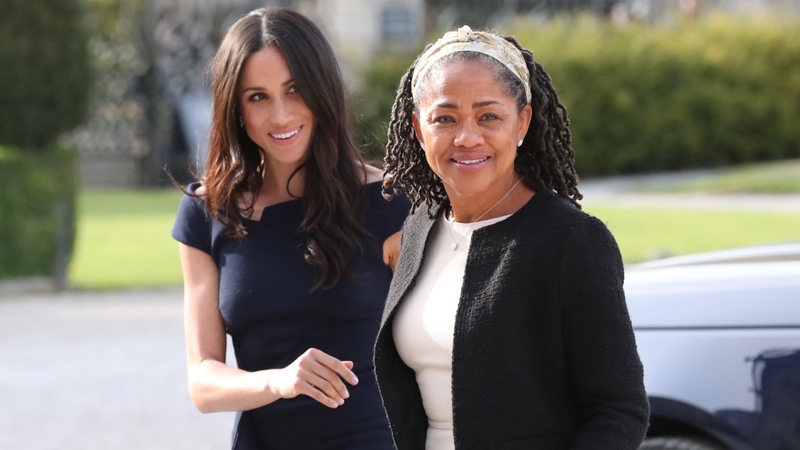 Meghan Markle’s mom, Doria Ragland, clearly made a lasting impression on the royal family when Markle wed Prince Harry in May. How do we know? Because, if the Daily Mail is right, Ragland scored an invitation to spend Christmas at Sandringham, the queen’s estate in Norfolk, England — and the invitation came from the queen herself. While such an extended invitation would be an unusual move, per the Mail, the queen reportedly asked Ragland as a “mark of respect” for Markle. This will be the duchess’s first official Christmas as a member of the royal family, after all, and her pregnancy makes it even more poignant. To give context to just how out of character this is for the royal family, the Mail pointed out that Kate Middleton’s family has never, in the seven years Middleton has been married to Prince William, stayed at Sandringham House over the holidays. They have, however, attended Christmas church service with the royals. This break in protocol could very well have to do with the fact that Markle is the only member of the royal family without any family in Britain. The queen may have given that special bearing — especially in light of the fact that Markle is expecting her first child — before extending the kind offer to Markle’s mom. Besides, when you consider just how much Ragland has made the effort to be there for her daughter over the last few months, it stands to reason that she planned on being with Markle over the holidays regardless. In September, Ragland made the long flight from L.A. to London for the launch of Markle’s cookbook, Together: Our Community Cookbook. When it was asked at the event if she was proud of her daughter, Ragland replied, “Head over heels,” per People. Ragland also spent part of the summer with Markle and Prince Harry in Oxfordshire. Of course, she was the only member of Markle’s family present at Markle’s May nuptials to Prince Harry. And, suffice it to say, she charmed everyone. Us included. She looked lovely, she acted gracefully and she made a fast friend in Prince Charles. Although rumors have circulated that Ragland might make the move “across the pond” soon, no such news has been verified. But, hey, a royal Christmas could be a step in that direction, right?